This entry was posted in Caribbean, OPV, Shipbuilding by Chuck Hill. Bookmark the permalink. Trinidad had crafted a relationship with Austal for four (4) 41m high-speed passenger catamarans, and I believe six (6) coastal patrol craft just a few years ago. Unfortunately, my sources indicate that two of the cats are non-operational, as are at least half of the coastal patrol craft, due to lack of proper maintenance. That Trinidad has followed the lead of several other Caribbean countries and has finally purchased DAMEN craft, such as Jamaica and Barbados, as well as regional neighbors such as Honduras and Bahamas, is a good sign. DAMEN vessels, when properly maintained (Jamaica didn’t, which required them to replace 3 with 2 new ones just last year after only 10 years of service), are excellent craft. After all, the 4207s are the parent craft of our own FRC. It seems as if both Jamaica and Trinidad have now included 5-years of maintenance in their new contracts – a wise choice. The fiasco which was the OPV tender, led to Trinidad not accepting 3 excellent Vosper Thornycroft 90m OPVs, which Brazil later purchased from BAE. 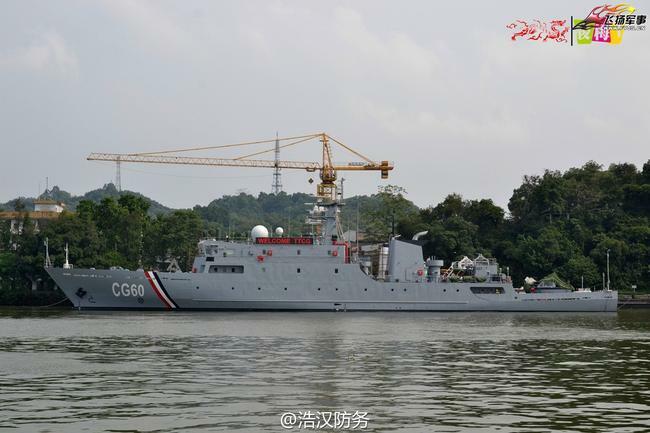 The decision to finally purchase a 79m OPV from China for $35M is regrettable, as it’s completely inferior and doesn’t offer any aviation facilities, which IMHO, should be part of any credible OPV offering. 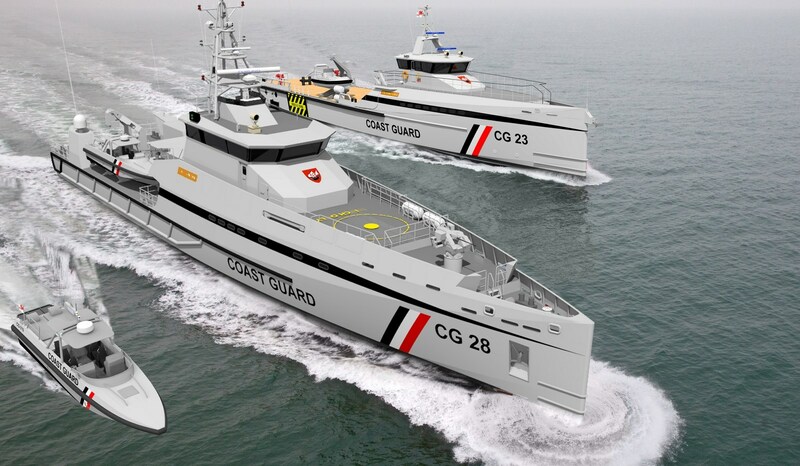 Sanjay Badri-Maharaj has written another article that will tell the rather tortured tale of Trinidad and Tobago’s Coast Guard procurement. I hope to have it ready to publish soon. Back in 2010, I suggested that the Coast Guard buy or lease the three 90 meter OPVs that were contracted for by Trinidad and Tobago but then refused. Those ships are now part of the Brazilian Navy. The three ships cost approximately $150M which is less than the cost of three Webber class. It amazes me that the Webber class comes in at something over $60M, whereas the non-USCG versions come in at approx. $15M each. The Weber class is a stretched SPa 4708. It is the SPa 4207 that comes in at US$15m. The Weber class was our prefered choice – until we saw the price. Hi, I’m really happy some have enjoyed the article. 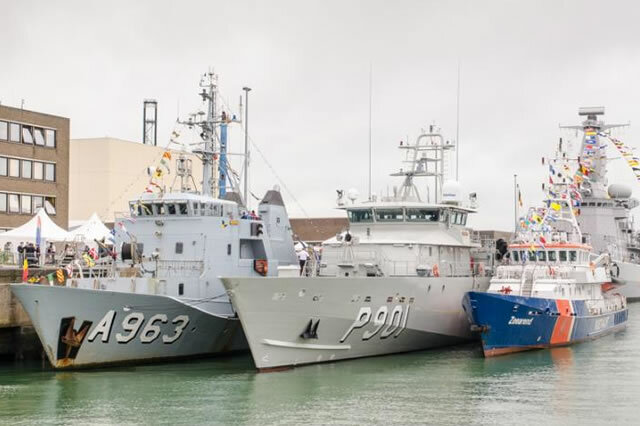 I happened to be part of the OPV arbitration and while I won’t divulge too much, the TTCG lacked the crews to man three OPVs simultaneously , especially since they operate with very large crews. The main problem was with the surveillance and weapon system. “Brochureitis” on the part of the TTCG and some bad basic research led to performance problems. The ships were decent vessels. I went to India in 2016 and had to endure the fact that one of the Amazonas class was there for the IFR. Painful. We settled for that CSSC 79m vessel in circumstances that were decidedly questionable. It met not a single one of our requirements except that it floats. So the British OPV’s were too much for the TTCG’s needs, in essence. I can appreciate that. But that’s a similar experience to the 41m Fast Ferries by Austal. ‘Brochureitis’ again. Great craft, but at 405 passengers, and 4 thirsty MTU engines, too much for the anticipated demand, and requires too much maintenance for that propulsion system. May have been better off with 2 rather than 4 engines, and a slightly smaller vessel. SBM, I’m surprised the Trinidad evaluation team didn’t get input from the Belgian/French navies who were making similar shopping decisions for CPVs in 2013/2014, including for Caribbean ops. Damien lost both tenders to Socarenam, which offered more ship for less money than what Trinidad paid for its Stan Patrols. For $17-25M apiece they got 52-60m (550-700 ton) growth derivatives of an in-service design. The 60m version can take a catapult-launched drone. Hi, Thanks for that input. However, the Belgian vessels would have needed to be re-engined. The TTCG stipulated a speed of over 28knots – that’s part of the reason for the price increase. The basic SPa 5009 was offered at US$22m. What happened was the changes to the engines, the combat systems and the CIC increased the price dramatically (the gun, FLIR and radar alone added US$6m). The French made a half-hearted presentation but they clearly did no research into our requirements and ended up giving a very bad impression. The La Confiance class was ordered after we had signed the contract with Damen. We would again have needed changes to engines and weapons/ combat systems. However, what is interesting is the stern launch of 2 RHIBs. This seems to be far more practical than the stunt we tried with launching a DI1102 from a davit.